We dance on first, third, and the occasional fifth Saturday! Dancing starts at 4:30 with easy dances, and then we build in complexity as the evening goes on, ending at 7:30 with a break half-way through. 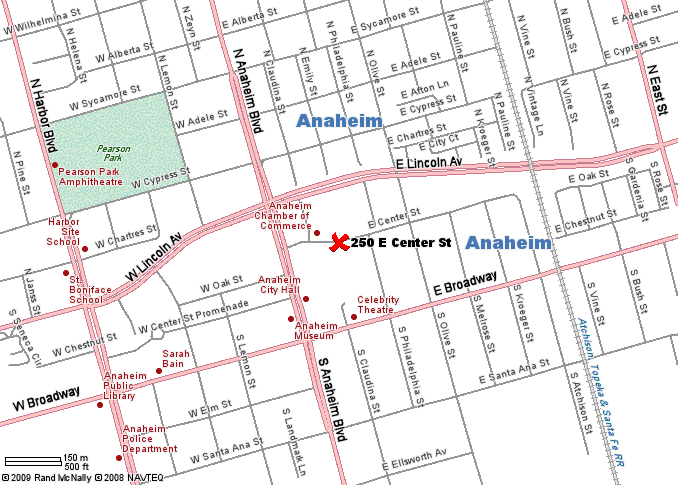 The city of Anaheim has a pre-registration system. Here is the link you can use to sign up before class and save some time at the sign-in table. Please copy and paste it to your browser. Dancing is still just $10. In 1999 Judee began calling English Country Dances at her elementary school, where she was a teacher. Then Hal Ramser asked her if she would like to help bring ECD to Riverside and she agreed to be their caller. Judee is proud to have taught Andrew Jackson to dance for a History Channel special. She is frequently asked to be a guest caller, and called for the Gualala Patriot Days Ball in July 2005. She also taught ECD at the Jane Austen Society of North America’s AGM in Los Angeles in October 2004 and in Tucson in 2006. In September 2005 Judee started the ECD group in Anaheim, Orange County and she has been a regular monthly caller in San Diego. 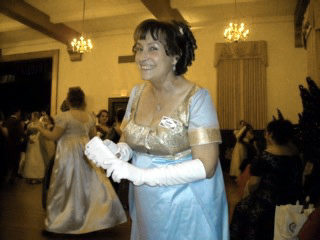 She has called for the Playford Ball in LA and also for the San Diego May Ball. 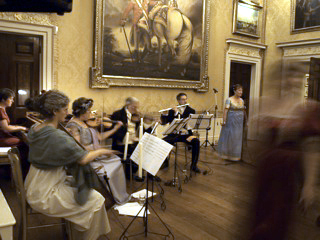 In 2009 she followed in the footsteps of Elizabeth Bennet and called dances in Hertfordshire at Brocket Hall, where the 1995 production of Pride and Prejudice was filmed (see photo), in Kent and in Derbyshire. Judee is a Kindergarten teacher, and is also a regular presenter of dance to the Orange County music teachers at Orff Schulwerk workshops. 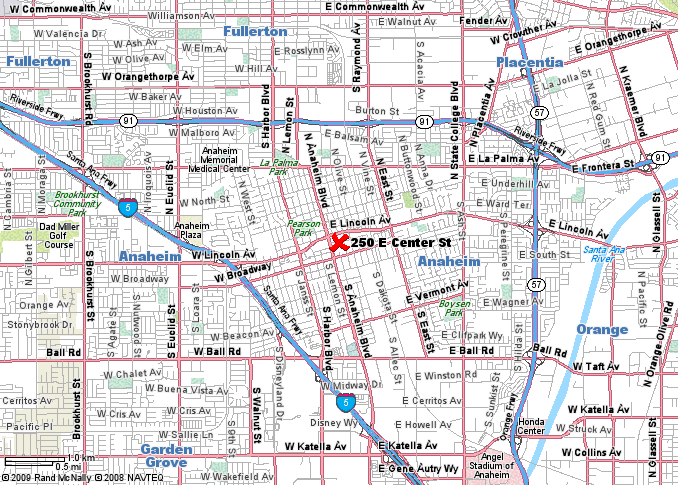 Turn Left on E Center Street.